On 26 April 2014 our local kayak anglers held a fishing tournament to help the local chapter of Heroes on the Water. We had 15 anglers show up to participate in this low stress very friendly tournament called the Spring Bash. This tournament was to start at 06.30 and be a 3 fish turn in. Speckled trout, redfish and flounder. These anglers could bring in 2 fish but 1 of the 3 had to be a redfish. We use the CPR (catch photo release) method to minimize damage done to the fish and help promote sport fishing. At Skidaway the anglers took off into the grass beds, tidal creeks and oyster beds. The weather started off beautiful with light winds, but soon picked up to near 15 mph which can make for tougher fishing. We had a wide variety of fish caught from gar, stingrays, flounder and trout. At 3pm everyone started arriving back to the turn in point . As the anglers came in so did the story's... from the first fish ever caught out of a kayak to senior anglers getting the skunk. 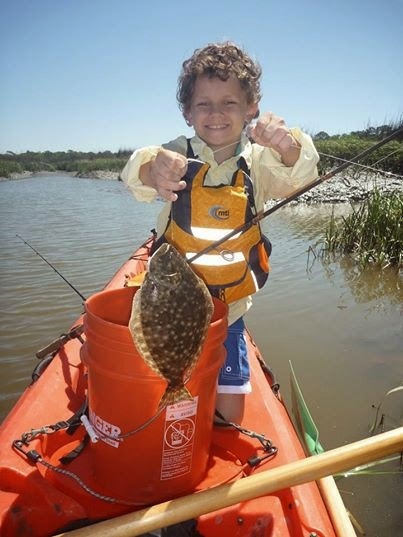 With a redfish and a flounder, 1st place went to Jackson. 2nd went to Ben and 3rd went to Dan. Jackson was having a father son day on the water and let me tell you that kid has the heart of a giant. The boy donated his total winning purse to help the wounded soldiers, absolutely amazing and parenting done right! Our tournament was the first tournament of coastal georgia kayak fishing in the past couple years. We are looking to hold more as the year progresses. We had some really good sponsors of the event. 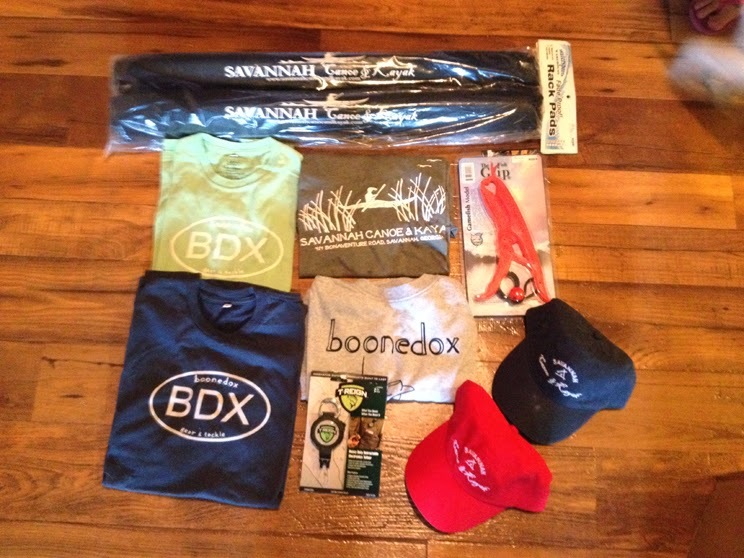 Saltwood Paddles, Egret Baits, Fishmyyak.com and Savannah Canoe and Kayak.